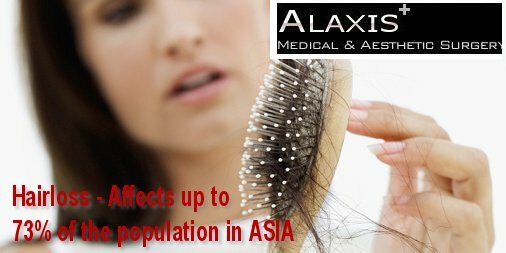 FUE Hair transplants in Singapore, are now very common. With this been said, clients should do move research. 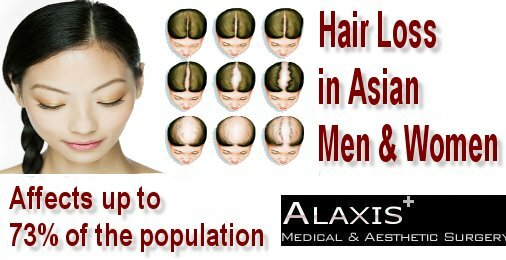 Finding the best clinic is not looking for the cheapest place to have FUE Hair transplant done in Singapore. It about finding yoyrself the best FUE Hair transplant clinic in Singapore for you. 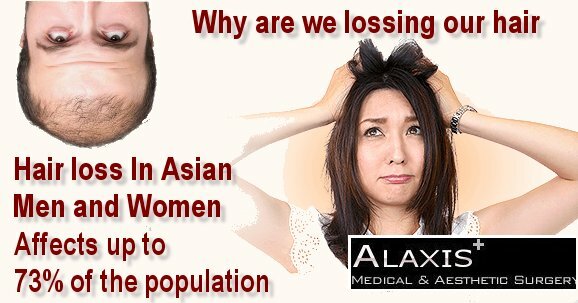 Women may also experience hair loss due to hereditary female pattern hair loss. Women may suffer from hair loss during menopause or 3 months after childbirth. Other less common causes of hair loss are thyroid disease, iron deficiencies, lack of nutrition, childbirth, surgery and certain medication. Follicular unit extraction (FUE) is a permanent solution to baldness using the latest technology in hair transplant. There are no scarring, short down time, and lesser pain. The hair follicles from the back of the head are transplanted to bald areas in front. The hair follicles at the back of the hair are more resistant to the hormone changes that cause the loss of hair follicles in the front. The procedure is performed under LA and involves extraction of hair follicle from back of the head. Follicular hair units with 1-3 hair are then implanted into the bald areas using Omnigraft Implanter. Patient able to go back to work the next day-he/she may have to cover the shaved area. The results are expected to show in 2-6 months as the transplanted hair stablize and start growing. Initially in the 1st 2-4 weeks, some of the transplanted hair root may go into a sleeping mode and the hair shaft attached to the sleeping root may fall off. This is nothing to be worried about. Once the sleeping root awakens in 2-3 months, it will begin to grow normally. The many small injections on the donor site will form scab in 1-2 days and recover within 1 week. The possible risks are infection and bleeding but very rare. 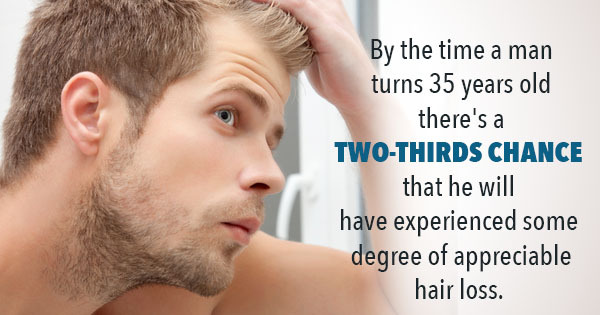 This is the most wonderful thing about FUE hair transplant. There is also almost no post op pain from the donor site, compared to 1-2 months of wound pain with STRIP method. The injection site will heal almost completely after 1-2 weeks, there will not be any scar in most cases. Nonetheless, as we need to shave the area to harvest the FUE, this area will only appear totally normal after 1 month when the remaining hair grow to normal length. The hair density will appear totally normal and in most cases, we are able to repeat another harvesting session in the same area in 6 mths. The implanted site requires gently care and cleansing. About 1 week post procedure, there will be small scabs after your hair restoration surgery. These will fall in 1-2 weeks. Care must be taken when washing the area especially in the 1st 1-2 weeks. Scabs need to be removed after 2-3 weeks. In some cases they persist and you will need to come for assessment and removal of scabs if these occur. This is the only technique we will do now. It’s a whole lot better. The procedure has much lesser risk. It heals so much faster as the wound although many but they are very small. It scabs within a week. There is no scar. The main weakness of FUE is that its very time consuming and demanding on the operator. It takes a lot of skill and technique to be able to extract the hair roots individually and in an efficient speed. We are using an advanced hair transplant FUE technology developed by Medicamat, France and improved by clinics around the world ie. i-Land Tower clinic (Toyko, Japan), Motion Clinic (Seoul, Korea) and Cleveland Clinic (US). It reduces the time required for FUE with its precision automation methods for hair follicle extraction. Time required is reduced by 1/2 to 1/3 which leads to better graft survival and better results. In a report by Cleveland Clinic (US) in 2006, “Hair transplant using Omnigraft aparatus is safe, effective and significantly reduces time for the procedure and personnel. A large majority of patients (90%) were very satisfied with their hair transplantation procedures”. Our reference clinics – Yokobi Clinic (Dr Kenichiro – Yokohama, Japan), I-land Tower Clinic (Tokyo, Japan) and Motion Clinic (Seoul, Korea) – They are responsible for a large share of the hair transplant market in their country. Extraction of hair follicle from back of the head under LA – individual follicle (Omnigraft FUE). No scar formation from the harvest site. Quick recovery time, low risk of infection, much lesser pain. FUE – Follicular hair units with 1-3 hair is then implanted into the bald areas under LA using the Omnigraft. Patients are able to go back to work the next day – he / she may have to cover the shaved area. There will be very minimal pain / discomfort unlike strip method where scar pain may take 2-4 weeks to subside.